NOTE: The information on this screen is part of a contract between you and your customer. Changing it may affect that contract. 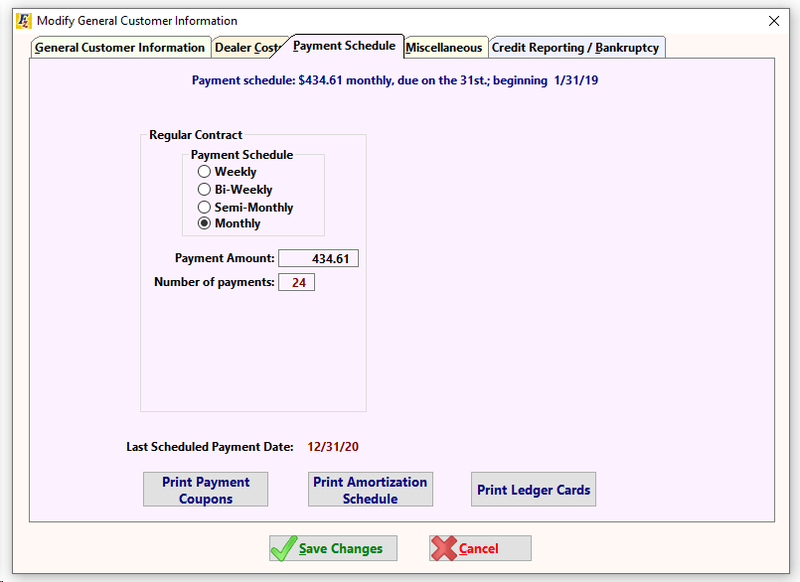 The Payment Schedules for the contract and pick-up note may be edited from this screen, as well as the Due Date. You can also print the original sale's Amortization Schedule. 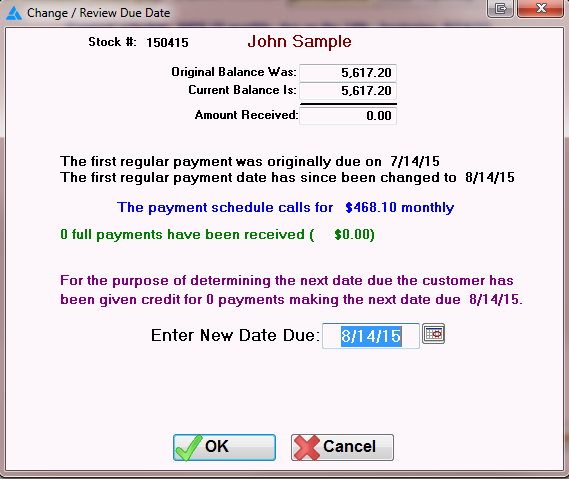 Change Due Date - Changing this will change the date the customer is due on the Customer Activity Screen. Changing this will not Update the Amortization Schedule, or contract. The Early Payoff Amount may also be affected.